1. Be A Tourist In Your Own City – Sightseeing around the corner? Count us in! In your local community and city, you can travel to museums and exhibits to gain a fresh perspective on where you already live. Check out all the interesting places that tourists visit when they come to your town. Student discounts may even be available to visit some of these spots, like national parks and museums. Get your selfie sticks ready for a day of tourism. 2. 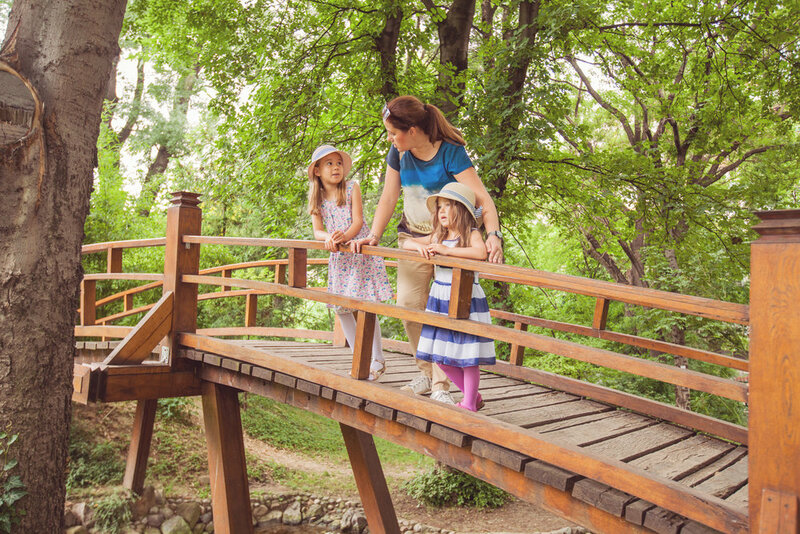 Explore The (Local) Outdoors – Walking and hiking trails are a fun, interactive way to get outdoors on your spring break. If you’re unsure where to go, use this link to search your location and it will determine any parks or trails in your area. It’s always nice to have a change of pace and experience the nature around you. All you need is some snacks, water bottles and a sweet view for a sweet getaway. Inhale fresh air, exhale stress. 3. Day At The Movies (Matinee) – Don’t you love sitting in an empty theatre and having all that space to yourself? Matinee movies are your best bet for some solitude – and the tickets are a wholeeee lot cheaper. Now, just sit back, relax with some popcorn, and enjoy the movie. 4. DIY Arts and Crafts – If your kids are feeling artsy, transform your playroom into an artist’s office. Grab a foldable table, add some materials (like construction paper, crayons or markers) and voila! Let your children put on their artistic caps and go to work. Use this time to encourage your little ones to make some paintings to add pizazz to your refrigerator art. And if you’re feeling fancy and want to step up your creative game a notch, check out these super-cool DIY projects. 5. Picnic In The Park – Roses are red, violets are blue, pretty flowers are in the park and hopefully so are you! (Er, something like that.) Enjoy the nice weather with a day in the park. The kids can toss a football or frisbee, while you relax in the sunshine with some yummy snacks. Check out some of these recipes to bring your picnic to life.